Experts from Europa Nostra, the leading heritage organisation in Europe, and the European Investment Bank Institute have arrived today in Georgia for a four-day mission to the David Gareji Monasteries and Hermitage. 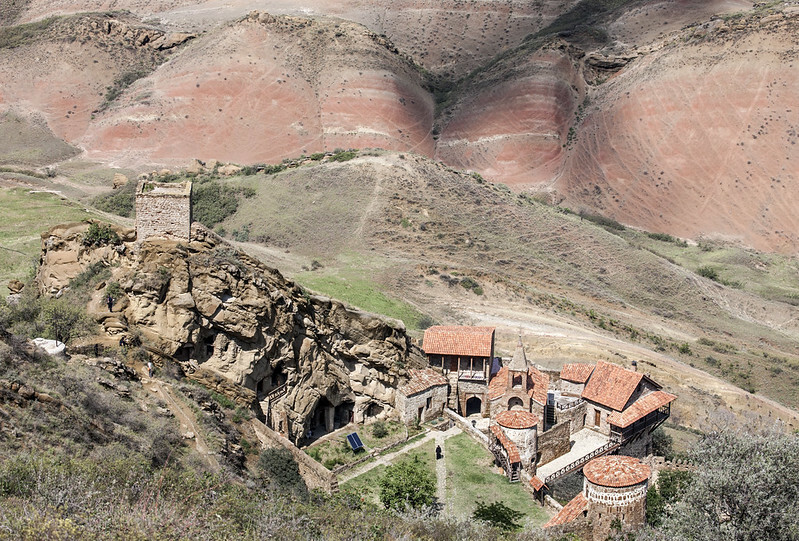 The site was listed among the 7 Most Endangered heritage sites in Europe in 2018, during the European Year of Cultural Heritage, following a nomination made by the Georgian Arts and Culture Centre. The European delegation of heritage and financial specialists will meet with local, national and transnational authorities and stakeholders – including the Mayor of Sagarejo, the Deputy Minister of Education, Science, Culture and Sports, the Deputy Head of the EU Delegation in Georgia and representatives from the World Bank – with the aim of mobilising efforts towards saving this masterpiece of Georgian culture. The key findings and recommendations of the mission will be published in a report at the beginning of 2019. Media professionals are invited to join the Press Conference and concluding session of the mission on 9 November between 16:00 and 17:00 at Ministry of Culture. The European experts, who will undertake the mission to the David Gareji Monasteries and Hermitage, are Mr. Piet Jaspaert, Vice-President of Europa Nostra; Mr. Campbell Thomson, Technical and Economic Adviser contracted by the Investment Bank Institute; and Mrs. Gaianè Casnati, Conservator Architect, Council Member of Europa Nostra and Member of the advisory panel of the 7 Most Endangered programme. The delegation will be led by Ms. Maka Dvalishvili, Head of the Georgian Arts and Culture Centre, in cooperation with the National Agency for Preservation of Cultural Heritage of Georgia. Press conference and concluding session of the mission at Ministry of Culture, with Michael Giorgadze, Deputy Minister of Education, Science, Culture and Sports. For more information about the programme of the mission, please contact Ms. Maka Dvalishvili.